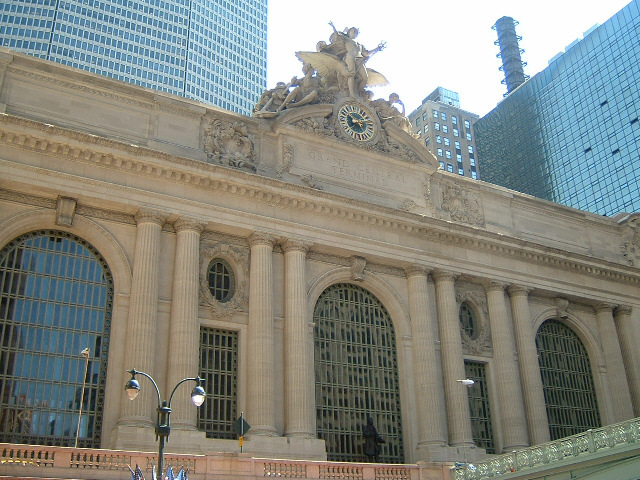 Here's the first of those two buildings: Grand Central Station. It has more platforms than any other station in the world. Behind it is the MetLife building, formerly the PanAm building, from where it was once possible to catch a helicopter flight directly to the airport.